Deliverance remains one of the screen’s most powerful man-versus-nature adventures and was a motion picture shocker of the 1970s. It's the story of four Atlanta "weekend warriors" who set off in canoes down a dangerous Georgia river and discover a wilderness of terror. 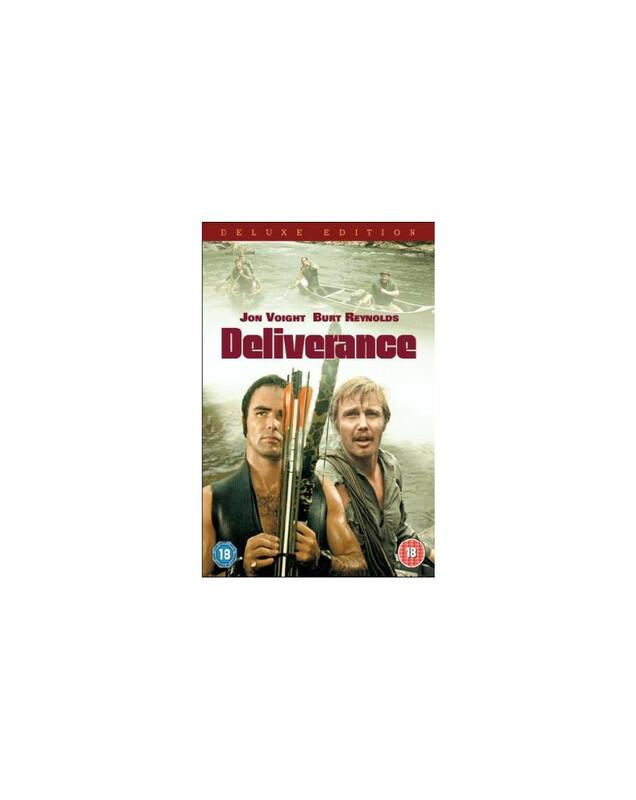 The Deliverance 35th Deluxe Edition has been remastered and comes with a host of new extras, including retrospective featurettes and director commentary. Directed by John Boorman (Excalibur, Point Blank) in 1972 and adapted by James Dickey from his novel, Deliverance was nominated for three Academy Awards including "Best Picture" and "Best Director". Burt Reynolds, Jon Voight, Ned Beatty and Ronny Cox star as the four friends whose canoeing weekend turns into a horrifying test of survival. Boorman’s taut direction builds the tension and fear to a raging climax, as the men travel way beyond their comfort zone and are forced to face more than they could have ever imagined. Vilmos Zsigmond’s expert cinematography captures the wilderness of forest and river, while Eric Weissberg’s classic musical theme "Dueling Banjos" provides a perfect counterpoint to the action.